In 2011, parishes in the United States implemented the English translation of the third edition of the Roman Missal. The implementation came after hosts of workshops, conferences, training sessions, new Mass settings, rehearsals, new pew cards or projection screens, and a range of emotional reaction. Now, in 2018, parishes in the United States are preparing for the implementation of another translation of the Roman Missal. Finally, after years of waiting, a new Spanish translation of the third edition of the Roman Missal has been approved for use in the United States. Across the country, parishes have already been using the new Misal Romano since May, and all are to take up its use by the first Sunday of Advent. Today, we’re discussing this new translation, its genesis, what you can expect to find, tips for pastoral implementation, and more. To do so, we’re speaking with Rita Thiron, the executive director of the Federation for Diocesan Liturgical Commissions. 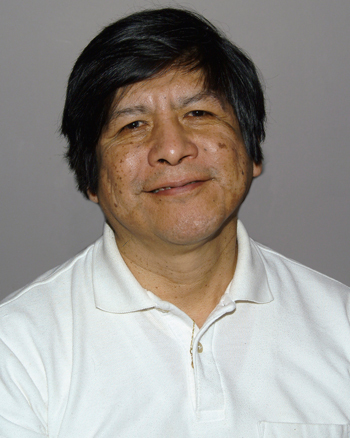 We’ll hear a song from composer Eleazar Cortes in today’s Ministry Moment. To find out more information about Rita Thiron, the Federation of Diocesan Liturgical Commissions, or the resources for the new Misal Romano, visit the FDLC website at www.fdlc.org. You can find more information about Eleazar Cortes by visiting his composer page at OCP. You can purchase the music you heard in today's episode: "Take Up Your Cross" (Jaime Cortez), "O Dios, Crea en Mi" (Eleazar Cortes), "Give Us Peace" (Leon Roberts).